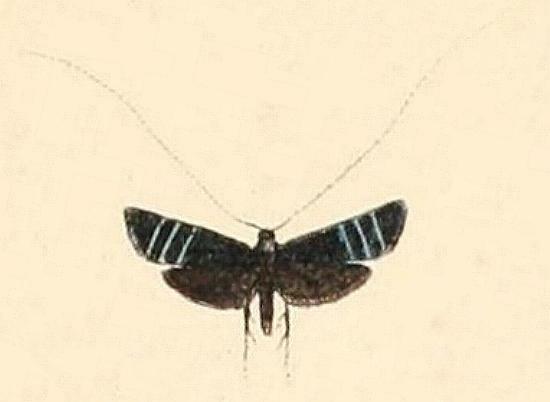 The adult moths are dark brown with three pale lines across each forewing. The antennae are nearly twice as long as the wings. Band 2, Abtheilung 2 (5) (1875), p. 2, and also Plate 139, fig. 1.